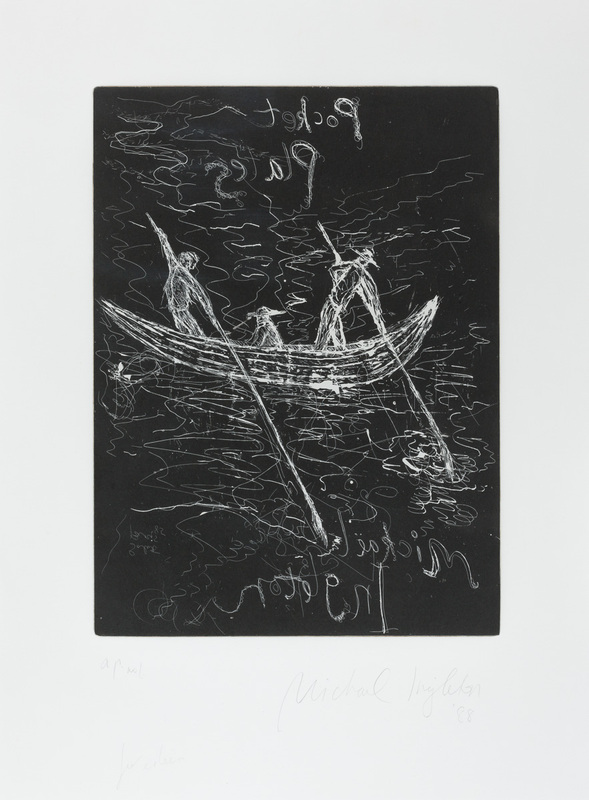 In 1985, Ingleton compiled a series of etching, aquatint and drypoints of landscapes, portraits and street scenes stimulated by his European lifestyle. These were to be bound together as a book with unique individually engraved brass front covers. The compilation was titled Pocket Plates, named for the artist’s technique of fitting small plates in his pocket to create drypoints wherever inspiration struck. These two lithographs of the brass front covers, were selected for printing at Lacourière-Frélaut by the master printer Luc Guerin. An edition of Pocket Plates is in the collection of the National Gallery of Australia, at the Biblioteque Nationale de Paris, France and available through our Gallery.